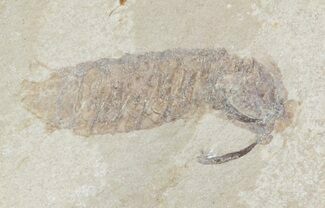 This is a excellent 3.45" long Nematonotus longispinus from the Upper Cretaceous deposits of Lebanon. 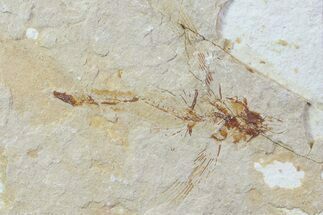 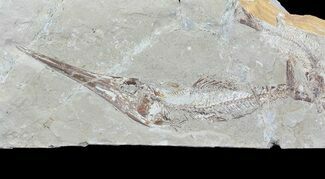 It has a very elongated first ray of it's pectoral fin which separates this species of Nematonotus from others found in the same deposits. 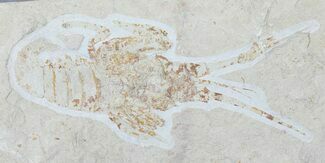 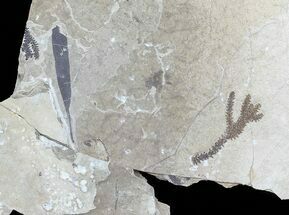 Beautiful preservation on this fossil fish which displays well against the light colored matrix. 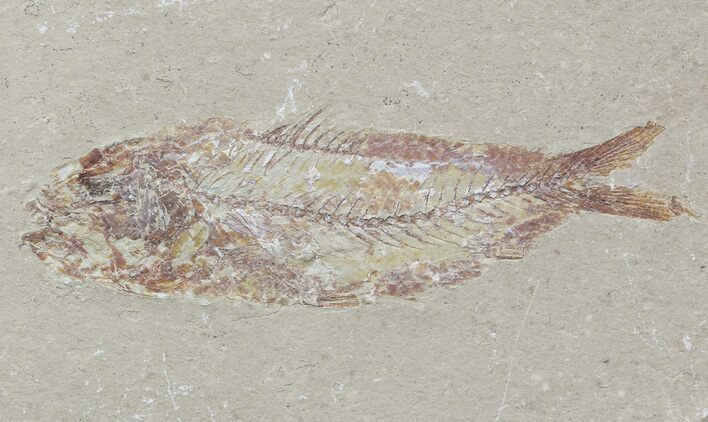 There is some restoration to the fins on this fish. 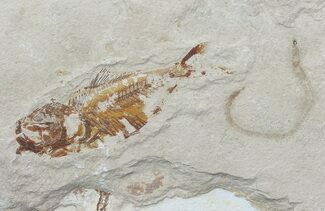 Fish 3.8" long, limestone 11.5x4"